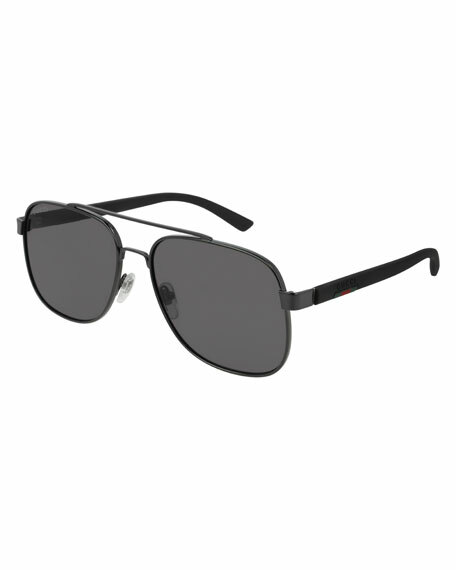 Gucci round sunglasses featuring removable black leather brow piece featuring metal tiger head. 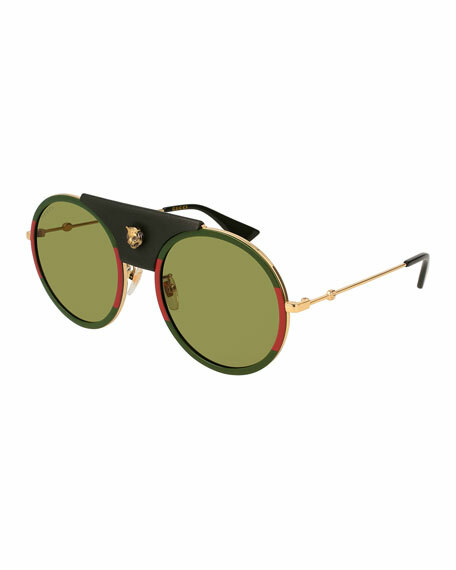 Shiny golden metal frames with signature Green/Red Web acetate rim. 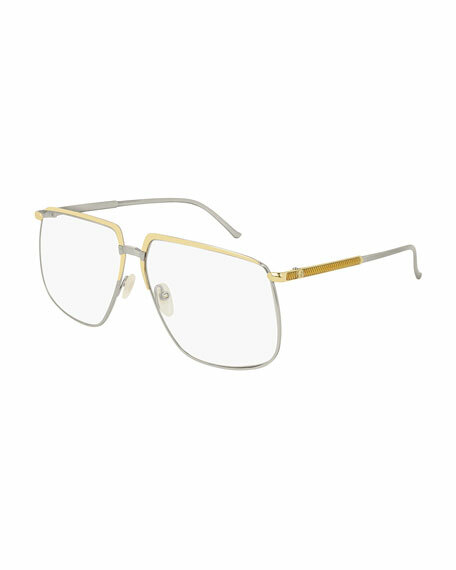 Gucci semi-rimless sunglasses in nylon and metal, featuring exaggerated brow with GG logo detail at center. Eye/bridge/temple (in mm): 59-14-150. Straight brow line. Gradient lenses. 100% UVA/UVB protection. Made in Japan. Gucci sunglasses from the Fall '18 Runway. Lens/bridge/temple (in mm): 63-13-140. Flat top two-tone metal frames. Adjustable nose pads. Logo detail at temples. Universal fit. Made in Japan. 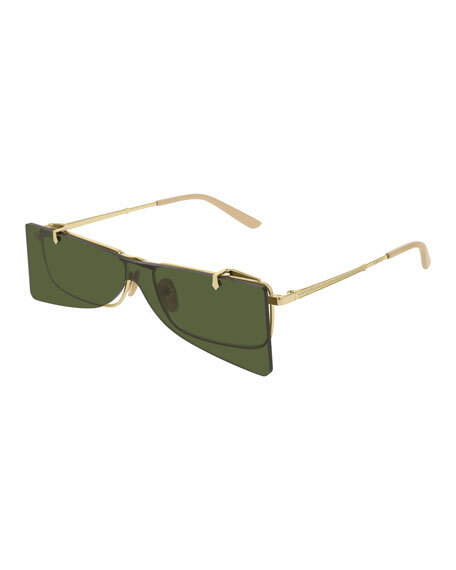 Gucci GG0422S metal aviator sunglasses, detailed with Web and logo at the temple. Eye/bridge/temple (in mm): 60-17-140. Adjustable nosepieces. Universal fit. 100% UV protection. Made in Italy. Gucci rectangle sunglasses in metal. Lens/bridge/temple (in mm): 63-16-140. Clip-on geometric, AR-coated lenses. Filigree metal arms with logo detail. Capped earpieces. 100% UVA/UVB protection. Made in Japan.